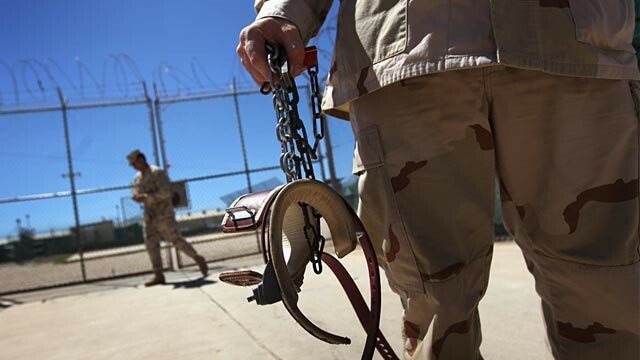 Senate bill 1867 in the US Congress called the National Defense Authorization Act, a provision of which would empower the U.S. military to operate on American soil, arrest American citizens and cart them off to detention centers anywhere in the world could be voted on as early as Thursday, December 1. This bill gives the president the authority to indefinitely imprison American citizens without a court hearing, both domestically and abroad. Senate Bill 1867 is bringing the battlefield to the homeland. Alex Jones, radio host of The Alex Jones Show, tells us what this could mean for America’s future. After the failure yesterday of an amendment that would have weakened Section 1031 of the NDAA bill, which would turn the entire "homeland" into a battlefield and allow the military to arrest individuals accused of being terrorists and detain them indefinitely without trial, the Senate voted 88-12 today to limit debate on the legislation, clearing it for passage tomorrow. "A final vote on the bill could come as early as Thursday," reports the Associated Press. The provision was hashed out in secret by Senators Carl Levin and John McCain. Lindsay Graham, a supporter of the bill, explained that it would, "basically say in law for the first time that the homeland is part of the battlefield" and people can be imprisoned without charge or trial "American citizen or not." Republican Congressman Justin Amash called the provision of the bill, "one of the most anti-liberty pieces of legislation of our lifetime," adding that the language had been "carefully crafted to mislead the public" in that the proposed law "does not preclude U.S. citizens from being detained indefinitely, without charge or trial, it simply makes such detention discretionary." Amash has been joined in his opposition to the bill by Kentucky Senator Rand Paul, who introduced an amendment to strike Section 1031 from the legislation altogether. When Paul confronted McCain on the provision earlier this week, McCain confirmed that it would apply to American citizens accused of being terrorists. Paul warned yesterday that the passage of the bill could see U.S. citizens arrested on American soil and sent to Guantanamo Bay. Although the Obama administration has threatened to veto the bill, some observers believe Obama would rather avoid a political hot potato and sign it into law anyway. "He has said he will. Whether he will is a difficult question because, politically, it’s difficult to veto a defense spending bill that 680 pages long and includes authorization to spend on a whole range of military programs," Daphne Eviatar, Senior Associate, Human Rights First’s Law and Security Program, told Democracy Now. Appearing on Napolitano’s Fox Business show, Paul said it perplexed him "how anyone could vote to send an American citizen who’s been accused of a crime to a detention center in a foreign land without due process". Paul offered an amendment to the NDAA bill which would have completely striped Section 1031 from the legislation. Today this was voted down, following yesterday’s rejection of Senator Mark Udall’s weaker amendment that would have merely provided more oversight. Napolitano also makes the point that this is merely an act of codifying into law what previous Presidents violated the Constitution to do anyway, specifically under the "parallel legal system" initiated under the Bush administration, "In which terrorism suspects — U.S. citizens and noncitizens alike — may be investigated, jailed, interrogated, tried and punished without legal protections guaranteed by the ordinary system," as the Washington Post reported in December 2002. "I wonder how Americans will feel when they see troops in the streets on a regular basis, something no one now living has seen since it ended the last time in 1876," said Napolitano, referring to how the bill characterizes the whole of America as a "battlefield" in which U.S. troops can freely operate and arrest American citizens. Republican Congressman Justin Amash, another vehement critic of the bill, also appeared on Judge Napolitano’s show last night to warn that the provision in the bill would inflict the same tyranny on Americans as under King George over two centuries ago. "This country was built upon the idea of liberty and if we are fighting terrorism but destroying liberty in the process we’re not really accomplishing the goal of defending this country….American citizens should never be detained indefinitely without charge or trial at the discretion of the President – that is completely outrageous and my constituents agree with me," said Amash. Amash added that it would be a "travesty" to see the military engaged in law enforcement because that is "what our founders fought against" during the revolutionary war. There are deep and hidden occult forces behind the sweeping changes taking place in Europe right now. Certain critical turns in the road of history have remained unknown to the public - intentionally. This is one of those critical turns. According to Harvard professor emeritus Carroll Quigley, author of the land mark book Tragedy and Hope: A History of Our Time, published in 1966 there are indeed elite "insiders" manipulating world events behind the scenes to create a new world socialist, collectivist order. This is the reason for the coming financial collapse of Europe. Like the occult mythical Phoenix bird rising from the ashes of the "old order", the eurozone; a "new" much tighter controlled united Europe will arise. The mythical phoenix symbolizes the destruction of the past to create a new order, Order out of Chaos. Why is the eurozone reportedly on the edge of financial collapse? If the elite of the world are so smart as they tell us then why is this happening and why should we listen to them? How could these "wise men" let this occur? We must learn to think critically and not accept at face value what the elite controlled collectivist media would have us believe. Their intention is not just to disseminate information, facts, but to interpret events in such a way to build fear and intimidation so that you believe that they have the only solution to the crisis at hand. We must learn to look in the opposite direction for the truth since their goal is manipulation of the mind to their collectivist agenda. "We are grateful to the Washington Post, The New York Times, Time magazine, and other great publications whose directors have attended our meetings and respected their promise of discretion for almost forty years. It would have been impossible for us to develop our plan for the world if we had been subject to the bright lights of publicity during those years. But the world is now more sophisticated and prepared to march towards a world government. The supernational sovereignty of an intellectual elite and world bankers is surely preferable to the national auto-determination practiced in past centuries. ....................... David Rockefeller, at the 1991 Bilderberger meeting. "You are a den of vipers! I intend to rout you out, and by the Eternal God I will rout you out. If the people only understood the rank injustice of our money and banking system, there would be a revolution before morning." From the The American Dream: All over Europe, headlines are declaring that the eurozone is on the verge of collapse. Many people falsely assume that this will mean the end of the euro and a return to national currencies. Unfortunately, that is not going to be the case at all. Instead, this is going to be yet another example of how the elite attempt to bring order out of chaos. The European elite have no intention on giving up on a united Europe. Rather, they hope to be able to bring to life a new "United States of Europe" out of the ashes of the existing eurozone. Over the coming months we will see widespread panic and fear all across Europe. The euro will likely sink like a rock and there will probably be huge financial problems in Europe and all around the globe. But for the European elite, a great crisis like this represents a golden opportunity to tear down the existing structures and build new ones. The solution that the European elite will be pushing will not be to go back to the way that Europe used to be. Instead, they will be pushing the idea of a much more tightly integrated Europe really hard. Of course it will not be called "the United States of Europe", but that is definitely what they have in mind. But they know that the people of Europe will never go for this solution unless they feel enough fear and pain first. Right now, the stage is being set for the coming financial crisis in Europe. All over the EU, media outlets are priming Europeans to expect the worst. For example, the following comes from an article in the Telegraph. The collapse of the eurozone would cause a crash that would instantly wipe out half of the value of Europe’s economy, plunging the continent into a depression as deep as the 1930s slump, the president of the European Commission has warned. Some newspapers are even warning that a financial "Armageddon" is coming. Just check out the following excerpt from an article in the Express. PREPARATIONS were under way last night for the break-up of the euro as Europe’s debt crisis spiralled out of control. As Treasury officials worked through the night to soften the impact on Britain, David Cameron warned that the single European currency was facing its "moment of truth". Business Secretary Vince Cable went further and spoke about "Armageddon" while Brussels officials warned that the chaos threatened to plunge us all into a new recession. Well, it will give them the opportunity to implement something new. A financial crisis is only temporary, but many among the European elite believe that they can build a "new Europe" which will last for ages. News outlets all over Europe are already reporting on rumors that French President Nicolas Sarkozy and German Chancellor Angela Merkel have been "secretly plotting" to create a "new eurozone" that will exclude some of the weaker nations such as Greece and Italy. For instance, the following is from an article that just came out in the Telegraph. That same article in the Telegraph is also already preparing readers to accept that the ultimate solution to the coming financial crisis will be to "strengthen the union between eurozone countries". The cold, hard reality of the matter is that the current structure of the eurozone simply does not work and it should have never come into existence in the first place. A recent article posted on Crackerjack Finance summarized some of the problems with the existing eurozone structure very nicely. But instead of going back to national currencies, the elite of Europe are convinced that it is time for a "United States of Europe" that will be much, much more tightly integrated. An article in the Guardian recently quoted Angela Merkel as saying that the solution to the problems that Europe is facing is going to "mean more Europe, not less Europe." Angela Merkel, the German chancellor, said the situation had become "unpleasant", and called for eurozone members to accelerate plans for closer political integration. "It is time for a breakthrough to a new Europe," she said. "Because the world is changing so much, we must be prepared to answer the challenges. That will mean more Europe, not less Europe." "European Commission President Jose Manuel Barroso has been even bolder in his calls for Europe to "unite". The president of the European commission, José Manuel Barroso, issued a new call for the EU to "unite or face irrelevance" in the face of the mounting economic crisis in Italy. "We are witnessing fundamental changes to the economic and geopolitical order that have convinced me that Europe needs to advance now together or risk fragmentation. Europe must either transform itself or it will decline. We are in a defining moment where we either unite or face irrelevance," he said. To facilitate this process, new politicians are being put into place all over Europe that will be sympathetic to the "united Europe" agenda of the European elite. In Italy, Silvio Berlusconi is out, and it looks like he will be replaced by economist Mario Monti. Monti studied at Yale, he is a member of the European Commission, he is the chairman of the Trilateral Commission in Europe and he is also a member of the Bilderberg Group. In Greece, George Papandreou is out, and Lucas Papademos has been put into power. Papademos taught at Harvard, and he previously served as governor of the Greek central bank, as a vice president of the European Central Bank and as a senior economist at the Federal Reserve Bank of Boston. He is also a member of the Trilateral Commission. It is funny how people from these same elitist organizations always seem to pop up in positions of power, isn't it? With men like these in position, it will be much easier for the European elite to get the rest of the continent to make the transition to the "new Europe". But what will a "new Europe" look like? Well, a Daily Mail article from a while back entitled "Rise of the Fourth Reich, how Germany is using the financial crisis to conquer Europe" contained the following sobering assessment of what much deeper economic integration for Europe would mean. But that is what the elite always want. They always want more power and more control. Right now, the people of Europe are not ready to go along with the whole "new Europe" thing. So that means that there is going to have to be a lot of chaos, pain and fear first. A financial collapse is most definitely coming to Europe. It is going to be tremendously unpleasant. But after it is over, the European elite are hoping that they will finally have what they have always wanted - a "new Europe" that is more tightly integrated than it has been at any point since the fall of the Roman Empire. Zbigniew Brzezinkski, National Security Advisor to President Jimmy Carter and Foreign Policy Advisor to President Obama. "Nationhood as we know it will be obsolete; all states will recognize a single, global authority, National sovereignty wasn't such a great idea after all." Strobe Talbott, former Deputy Secretary of State and Bill Clinton's Oxford roommate, in Time, July, 1992. "And the ten horns which thou sawest are ten kings, which have received no kingdom as yet; but receive power as kings one hour with the beast. These have one mind, and shall give their power and strength unto the beast. And these shall make war with the Lamb, and the Lamb shall overcome them: for he is Lord of lords, and King of kings: and they that are with him are called, and chosen, and faithful. ".......................................Revelation 17:12-14 KJV. "For God hath put in their hearts to fulfil his will, and to agree, and give their kingdom unto the beast(Satan) until the words of God shall be fulfilled. "..............................Revelation 17:17 KJV.